EEBus enables the interoperable services for the Internet of Things on the Worldline booth at IFA - EEBus Initiative e.V. On this year’s IFA the EEBus Initiative e.V. demonstrates on the booth of the leading service provider Worldline (booth 17 hall 11.1) how the future of interoperable services of the IoT will look from now on. A first glance at the sector- and technology-neutral services featuring the EEBus as a common language that service providers are planning to bring to market in the near future will be demonstrated. This milestone for the IoT will put service providers in a position to offer device-independent technology for the domain of business interest (HVAC/Smart Home/Smart Grid/E-Mobility etc. The EEBus works as a common language for the IoT across the different domains and technologies (IP, KNX, Zigbee, etc.). The demonstrator depicts how the future for service provider in the IoT will look like: A Kostal inverter and Wolf therme connected with a devolo Home Control gateway to the Worldline cloud- all based on communication via EEBus and technology and sector neutral. “By connecting the technology-neutral and sector-crossing EEBus world to its Worldline Connected Living Platform, Worldline enables access to millions of connected devices”, said François Gatineau, Worldline Director Connected Living Business Division. The successful history of EEBus / Worldline started on the 1. EEBus Plugfest in March this year as the first secure EEbus connection to the Worldline cloud was presented to the public in a showcase done by Worldline, Intel and the KEO GmbH. The integration of the EEBus and the demonstrator for the IFA were realized by the KEO GmbH, an innovative German company that specializes in the fields of Internet of Things and embedded connectivity in the EEBus-world: “The integration of EEBus in the gateway that connects to the cloud is the essential basis for domain and technology independent access to millions of devices in the IoT for a service provider. When a service provider can operate independent from domain specific technologies and bus-systems because of EEBus, an gigantic gain of security for the investments and an enormous market potential for a brought variety of business models is enabled”, elaborates Peter Kellendonk from the KEO GmbH. devolo AG is the globally leading European company in the Powerline communication solutions market. Numerous top-product test reviews and awards, not to mention the over 25 million adapters sold, demonstrate devolo’s success. With its Home Control technology, devolo offers an easy DIY smart home. The new product range is based on the international Z-Wave® communications standard and can transform any home into a smart home in an instant, providing greater comfort, greater security and simple energy conservation. “An integration scenario of the devolo Home Control ecosystem with the Worldline Cloud by using EEBus is a promising future customer scenario for operators and ISPs. In terms of interoperability of IoT device communication it is a good step forward to see how easily and seamless the EEBus approach works by connecting devices from complete different domains”, says Werner Fehn, Vice President Operator Solutions at devolo AG. The EEBus is not a new bus system, it uses standardized neutral messages to enable the communication of various technologies and sectors. EEBus is the common language that overcomes the barriers that limited the enormous potential of the IoT till today. The KEO GmbH sets with its implementations in the gateway and the cloud the basis for service providers, such as Worldline, to realize the great potential that comes with interoperable access to million devices of various brands and technologies. 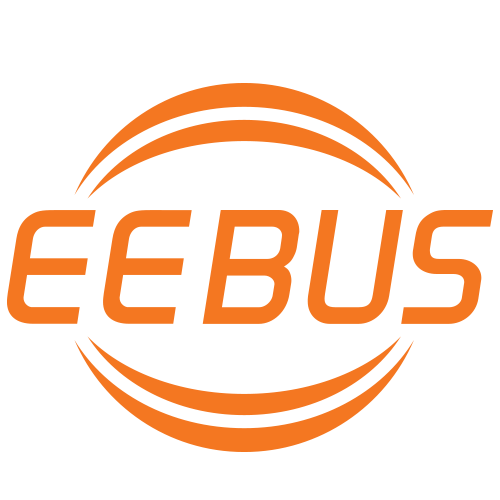 The EEBus Initiative is a non-profit organization and develops interoperable Smart Home communication technologies based on a neutral information layer with corresponding data models and their mapping onto different domain specific network technologies. For IP based communication the EEBus Initiative develops the SHIP (Smart Home IP) Protocol. Further on also the interaction of devices within different use cases is defined. All specifications become part of international Smart Grid and Smart Home standards (mainly IEC and CENELEC). To learn more, visit www.eebus.org. All trademarks included are property of their respective owners.